With Allan in Austria, I have been tasked with keeping him informed of what’s happening in our new yard, and documenting developments with copious photographs and notes. A couple weeks ago, the several lilac trees scattered throughout our yard burst into full bloom, filling the air with sweet perfume. Last year we learned that these flowers are edible. 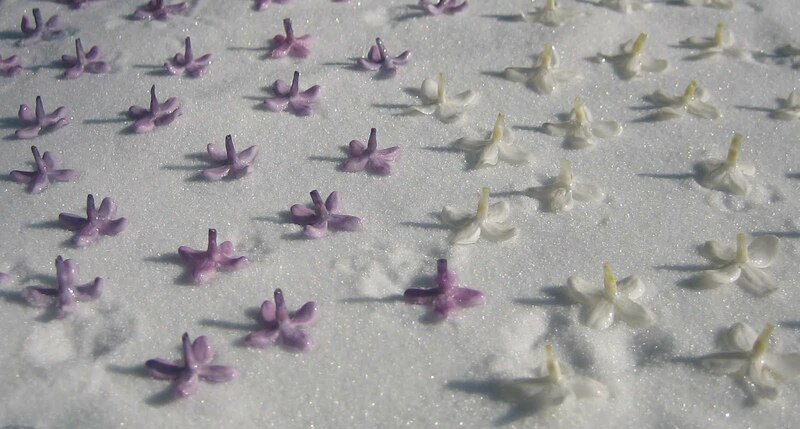 The tiny flowers can be added to salads for a splash of color. They can also be made into beautiful, delicate candies that last long after the blossoms have fallen from the trees and their sweet smell has left the air. Rather than keeping the memories of spring with mere photographs, I decided to preserve a little piece of the season in candy form, to be enjoyed upon Allan’s return. 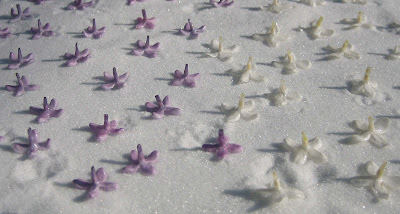 Using tweezers, dip the lilac flowers in the simple syrup, shake off any excess liquid, then place them onto the ultrafine sugar. 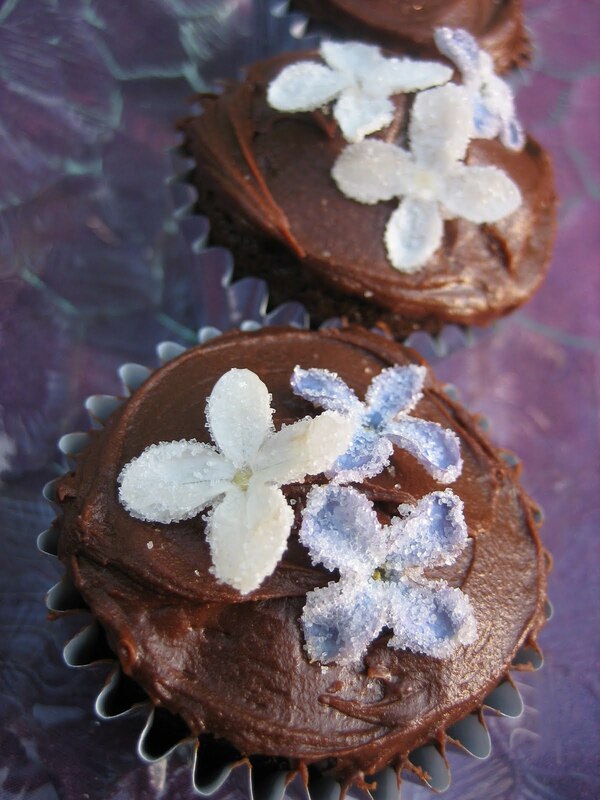 Turn the flowers in the sugar to coat all sides, or sprinkle them with sugar to achieve the same effect. Let the candied lilac dry overnight, then store in an airtight container.